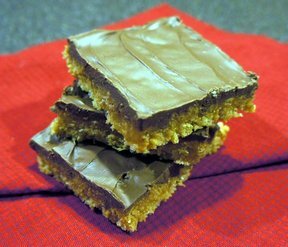 Your favorite bars are so simple to make you'll wonder why you haven't made them sooner. Then when the whole pan is gone, you'll know why...too tempting! In a saucepan on the stovetop, cook the syrup, sugar, butter, and peanut butter on low heat until slightly boiling. Stir frequently. 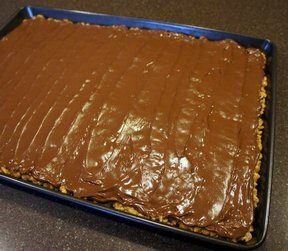 Add the mixture to the cereal and mix well; then press into a 9x13-inch pan. 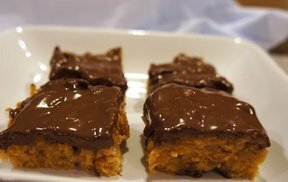 Melt the chocolate and butterscotch chips (on the stovetop or in the microwave) and spread over the top of the bars.